A MAJOR REPORT will be published later today and is set to recommend the prescribing of medicinal cannabis for patients with specific medical conditions. These conditions are: spasticity associated with multiple sclerosis, intractable nausea and vomiting associated with chemotherapy, and severe forms of epilepsy. It, however, recommends against using cannabis for the treatment of chronic pain. Simon Harris has said he had “decided to proceed with the advice” contained in this report and establish an access programme for cannabis-based treatments for certain conditions. Both the Department of Health, and the Oireachtas Committee on Health, had deferred any recommendation on how medicinal cannabis should be prescribed until the publication of this report by the Health Products Regulatory Authority (HPRA). Legislation providing for medicinal cannabis was passed in the Dáil in November, Minister Simon Harris tasked the the HPRA with reviewing the availability of authorised medicines containing cannabis and a review of the ongoing clinical research in the area. For any medicinal product to be prescribed to a patient in Ireland, it must first be approved by the HPRA. In their report, the HPRA says that, despite “insufficient” and “conflicting” evidence supporting the safe and effective use of cannabis, they recommend that using medicinal cannabis must be controlled. It recommends that patients should only be able to access this form of treatment within a legislative framework that provides for a central registry to ensure accountability. It should also only be administered under the direct supervision of a physician. 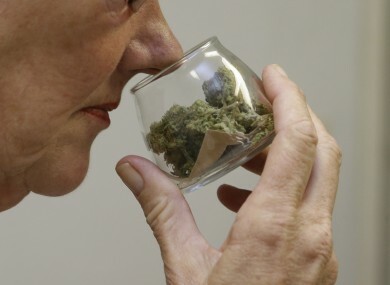 Due to the “limited data” demonstrating the efficiency of cannabis products, the HPRA said it cannot fully authorise cannabis products as medicines. Dr Lorraine Nolan, HPRA chief executive, said: “To get to a point where we could authorise cannabis as a medicine, it must meet the same regulatory standards as that of every other medicine on the market. This is what the public expect and deserve. As we are not yet at that point, permitting access to cannabis for medical use is ultimately a societal and policy decision which has to balance the lack of scientific evidence against patient-led demand. She called the report’s recommendations “a progressive first step” on this area. “He’s gone two months seizure free, which is the longest time he ever has gone without them,” she said. She welcomed the contents of the report today, and said she had no fears over the safety profile of these products. Professor Tony O’Brien, who chaired the working group which compiled the report, said he was pleased to “cautiously advise the restricted use of cannabis products for a limited number of medical conditions”. In a statement, Minister for Health Simon Harris called the report a “milestone” in the development of policy on medicinal cannabis. He added that medicinal cannabis will be made available for the patients suffering from these specified conditions where they have “not responded to other treatments and there is some evidence cannabis may be effective”. The report will now be referred to the Joint Oireachtas Committee on Health. The department will consult with the HPRA on how the scheme will operate, and officials will notify the Minister on any legislative changes that may be required. Email “Health authority recommends medicinal cannabis to be made available for "specified conditions"”. Feedback on “Health authority recommends medicinal cannabis to be made available for "specified conditions"”.